RIVIERA DOGS: Cuddle Your Dog! 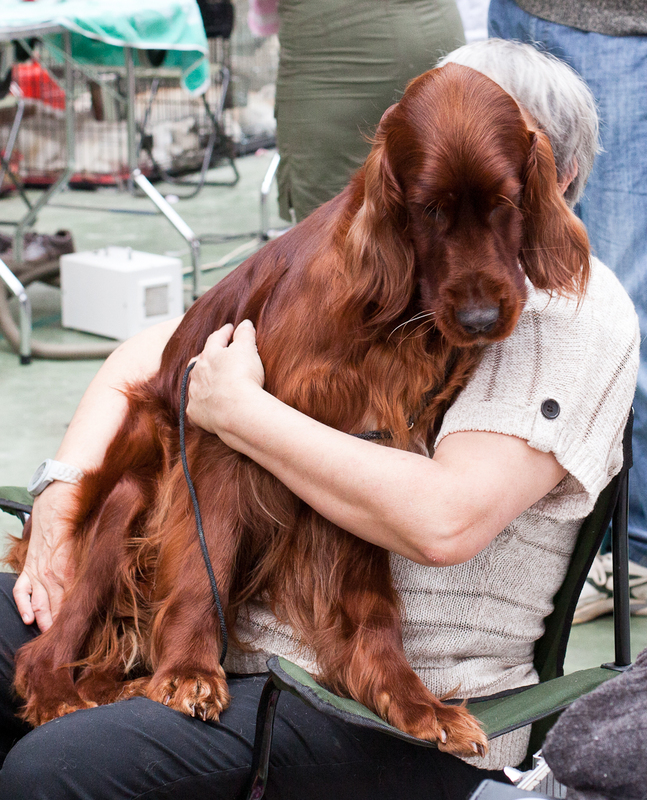 There was an enormous amount of dog cuddling going on at the San Remo dogshow. 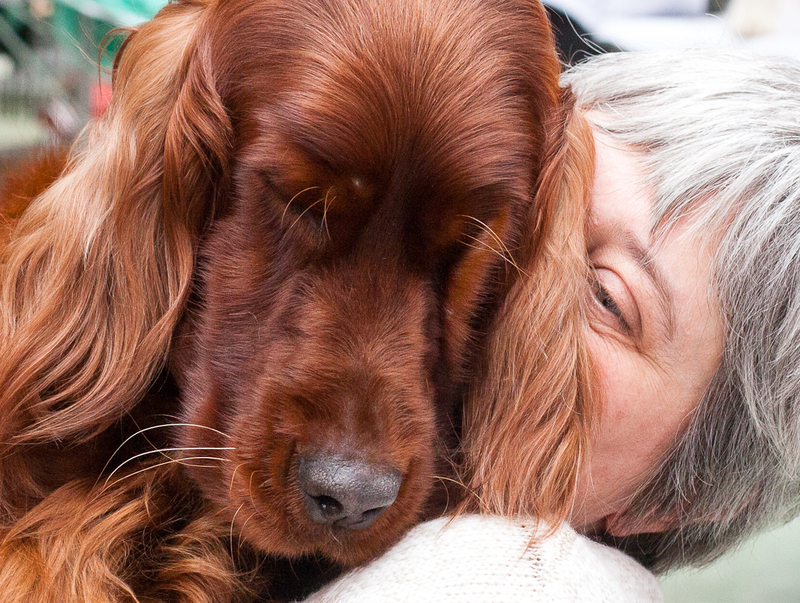 Isn't this Irish Setter just gorgeous. 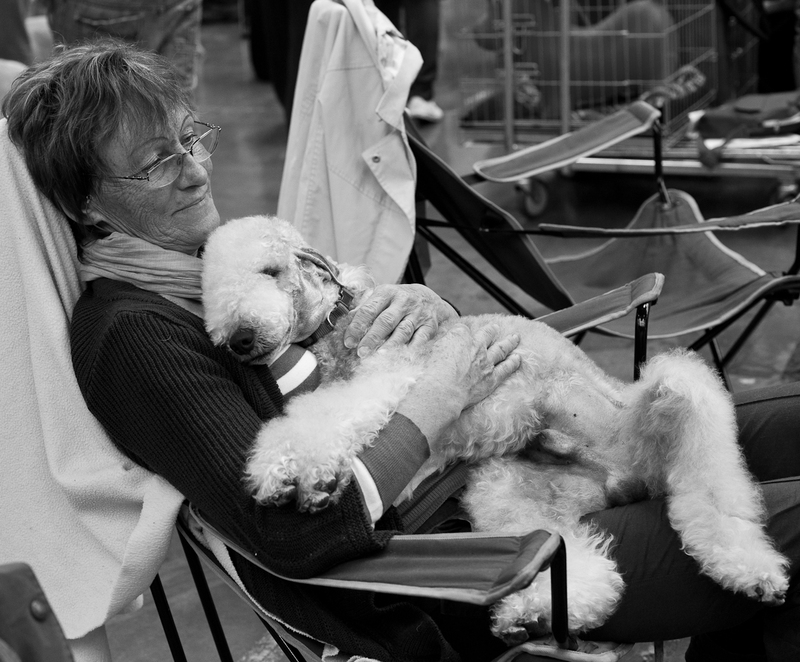 In the last photo, you see a photo posted on Menton Daily Photo a couple of days ago - lady and dog totally content with each other. They're a big part of our family, not just dogs! you could do an album or book of these. there are so many of us who would never tire of such images.